Whether they’re selling tickets to orbit or making sure the science funding keeps flowing, rocket companies and space agencies alike have a vested interest in getting the public jazzed about the cosmic beyond. 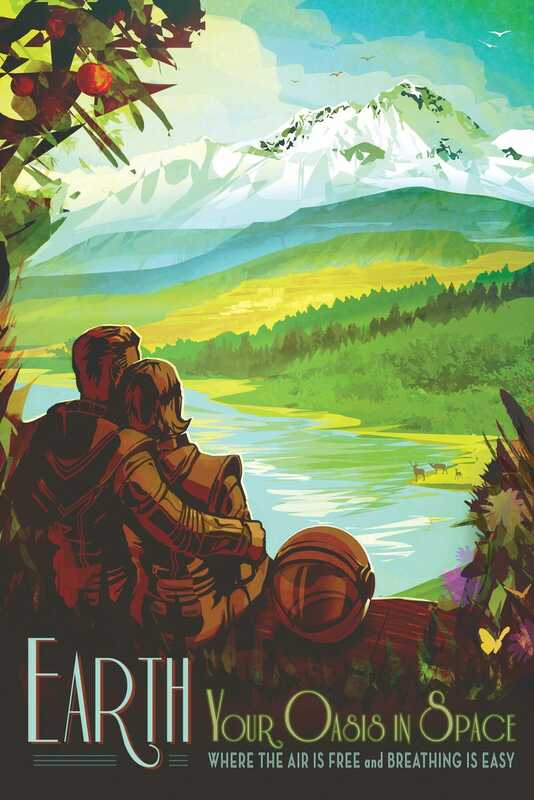 So it’s no surprise that we’re now entering a new – and beautiful – age of space tourism propaganda; one that’s bringing back the beloved, classic design elements of long-past atomic age propaganda. 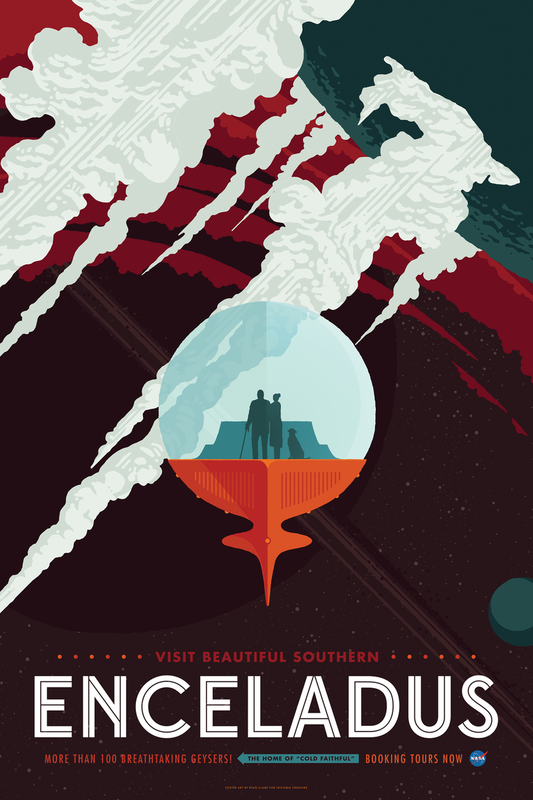 Last year, SpaceX released a series of gorgeous, retro travel posters to help convince the people of Earth that living on the frigid wasteland of a planet called Mars could be fun. NASA — whose PR machine generates more hype than all other government entities combined — recently used a similar tactic to drum up excitement about extrasolar planets. Now, NASA’s Jet Propulsion Laboratory has commissioned design firm Invisible Creature to produce three lovely travel posters for our cosmic neighbourhood, highlighting places the space agency is keen to send additional missions. If these don’t make you want to abandon everyone you know and love in order to blast off into the void, I don’t know what will. 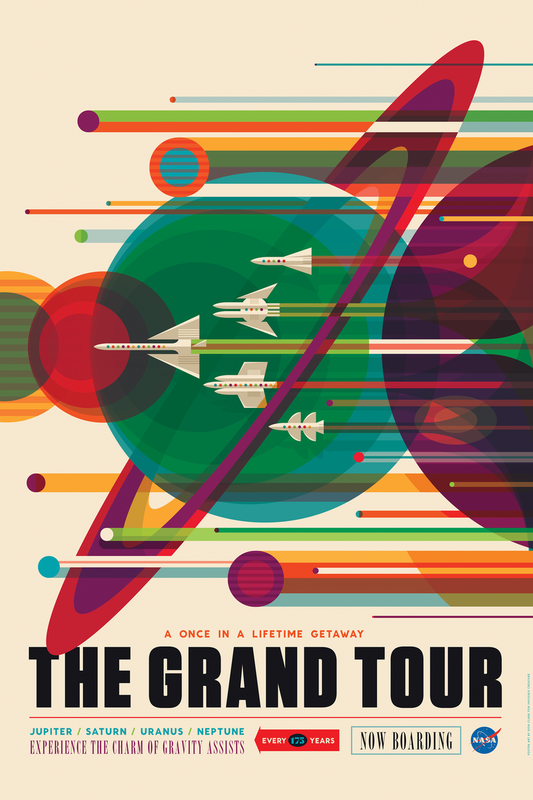 Each of the cleverly designed posters includes homages to the space agency’s past and future: The “Grand Tour,” for instance, is a callback to the Voyager missions of the 1970s and '80s, when space probes were catapulting around the outer solar system and snagging gravity assists from gas giants. 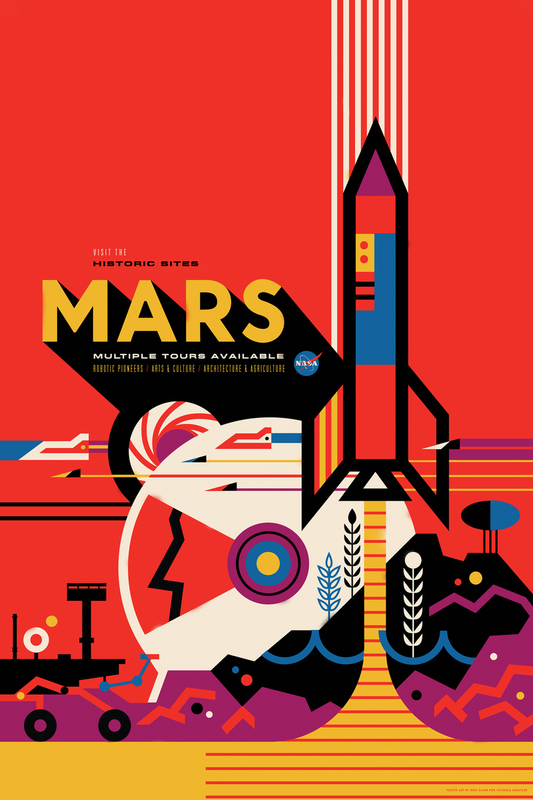 The Mars poster depicts a future in which humans have settled the Red Planet long ago, and are running historic tours of the architecture and robotic pioneers — we see you, Curiosity! — of the early days. Agriculture, of course, features prominently, highlighting NASA’s aspiration to continue growing plants in space, and eventually, to sustain human colonies. My favourite of the three is absolutely the Enceladus poster, but I’m biased toward the little ice moon nestled in Saturn’s rings, whose south pole geysers are shooting tremendous plumes of ocean spray into space for any passing probes — or intergalactic tour buses — to marvel at. Cassini just completed itsfinal close Enceladus flyby, but NASA is hoping to send another mission back to the moon eventually. After all, it’s one of the most promising spots to discover alien life in our solar system. 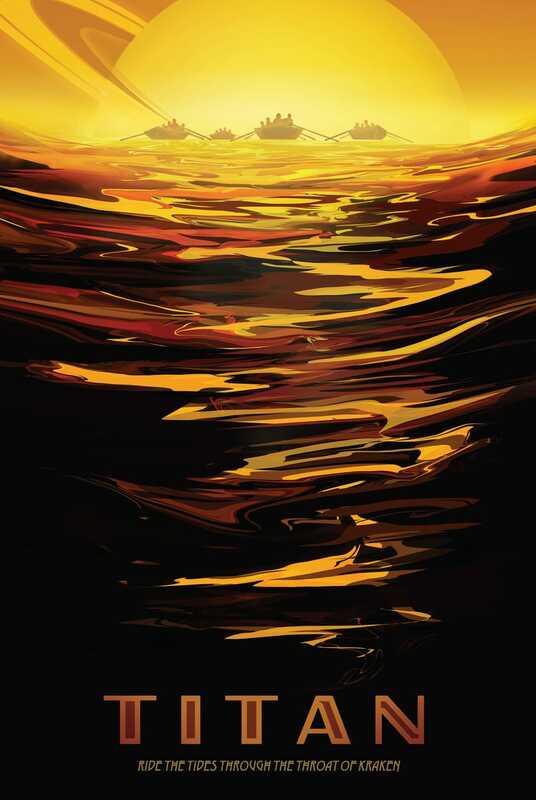 NASA's Jet Propulsion Laboratory has also released a slew of additional space tourism posters, and they’re phenomenal. Let’s have a look, and allow our hearts to collectively ache for the future. Here, intrepid explorers paddle through the frigid methane oceans of Titan — no doubt, with some expensive, space-grade outerwear to stay warm. 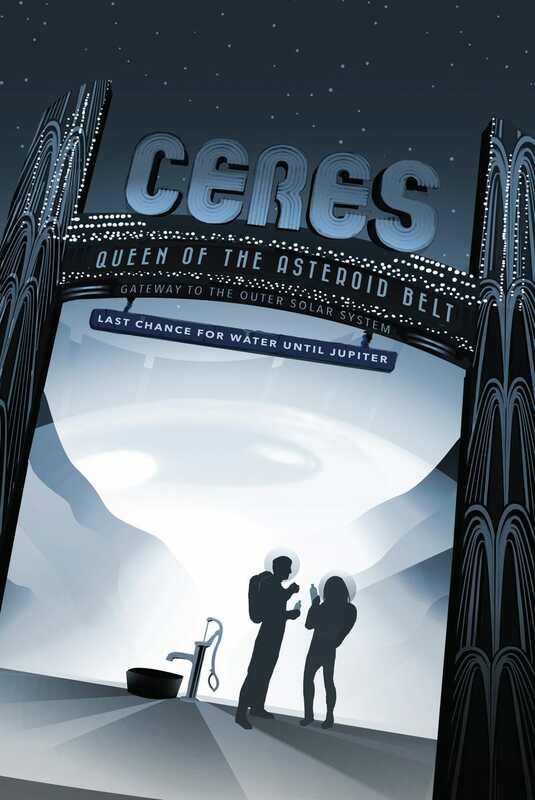 Behold Ceres, the mysterious dwarf planet whose winking bright spots have sparked so much speculation this past year. (They’re probably salt.) If humans ever do set up deep space outposts, we’re going to need local sources of water, and one way to get our hydration is to mine it from asteroids like this one. 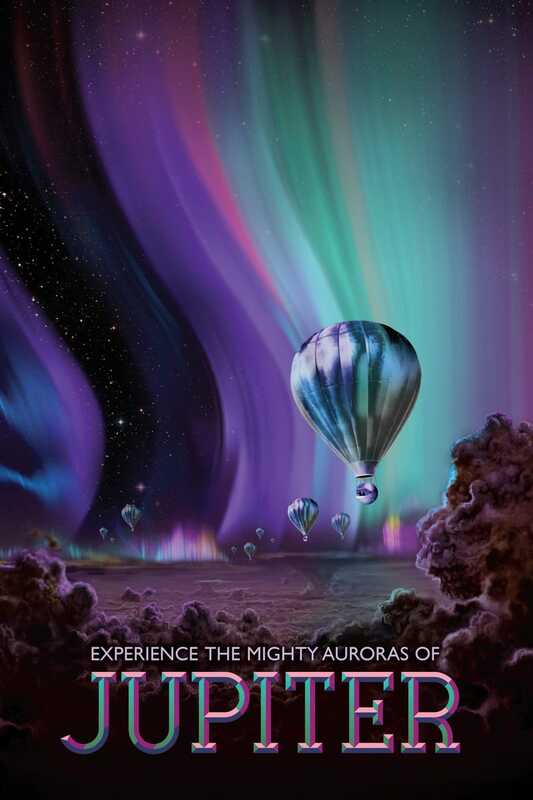 There’s no place like Jupiter’s powerful magnetosphere to catch a spectacular aurora. Just....watch out for air turbulence and acid rain. 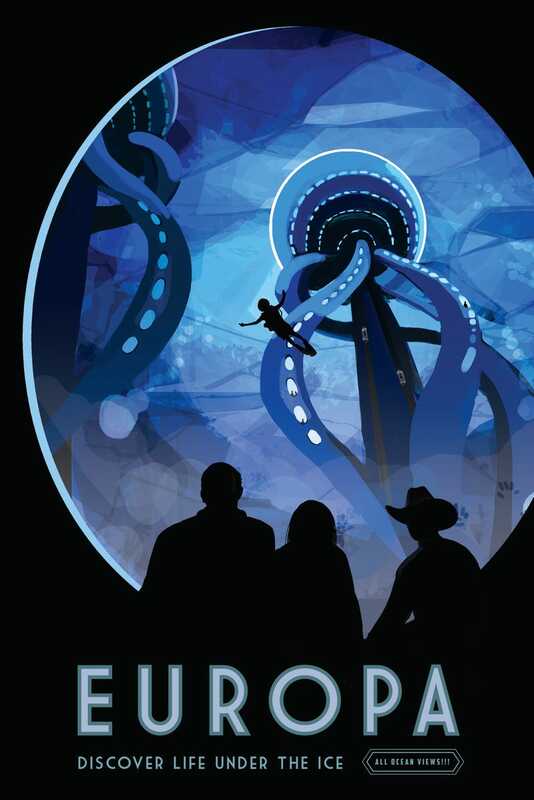 Europa: home to the largest bioluminescent space octopus between here and Alpha Centauri. Plunge into the moon’s subterranean ocean (on a futuristic version of this ice-diving robot?) to catch a glimpse of the beast up close. Sashimi specials served daily. 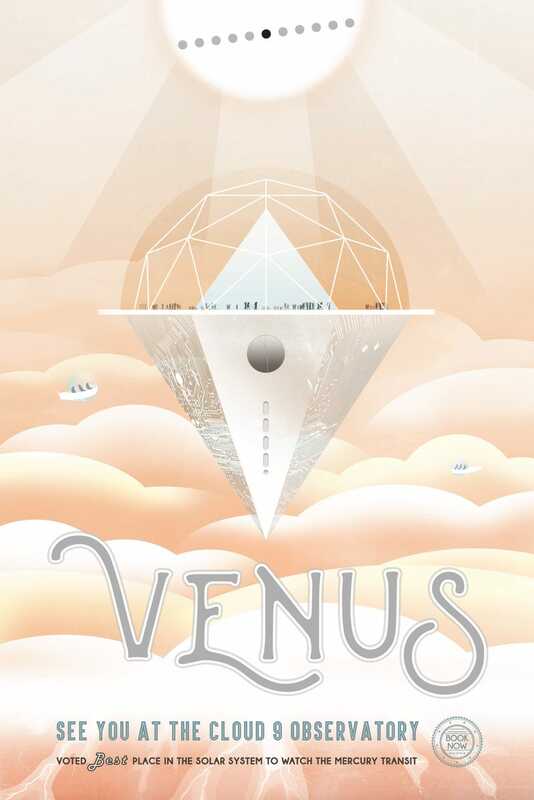 Cloud city on Venus? Heck yes! The surface may be a scorching hellscape, but 30 miles up, the weather’s downright balmy. There’s no oxygen, but plants don’t care — give them water, carbon dioxide, and sunshine, and you’ll have yourself a sustainable space colony in no time. And finally, in a true homage to Golden Age sci-fi, NASA gives us the space terrarium: a tiny bubble of biosphere, fashioned after our beloved home world. Is it an asteroid that we’ve hollowed out and terraformed on the inside? Larry Niven’s ring-world? Or some other sort of artificial megastructure, created by future humans who’ve figured out how to harness the power of entire stars? Clearly, no matter how far we travel, or how advanced our technology becomes, there’s no place like home.